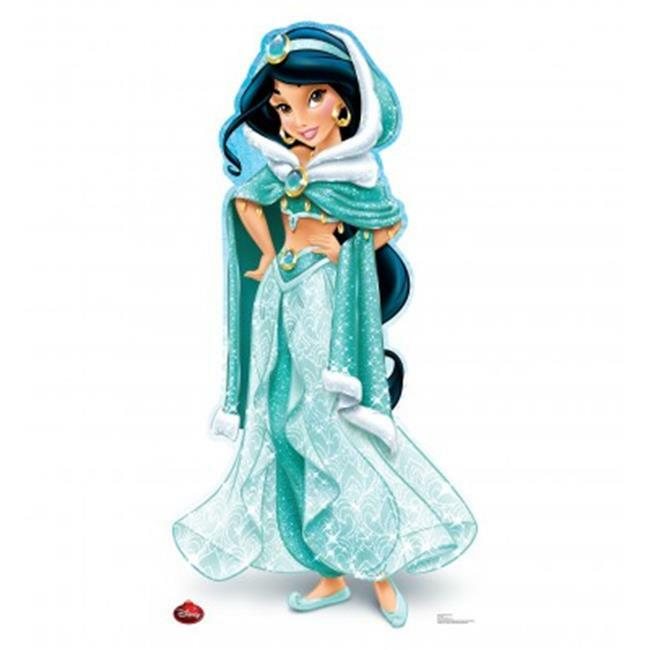 Life size cardboard standup Holiday Edition of Princess Jasmine. Our Disney Princesses are feeling festive and bundling up for winter. This artwork is beautiful from the sparkled gowns to their luxurious Faux Fur shawls. Add a fun and magical touch to your Holiday Decorations this year with your favorite Disney Princess.